being little • bristol uk fashion & lifestyle blog. : blue moon. Dartmouth Regatta is in full swing, and today we went over to sample the delights.. lots of tourists, rowing, noisy aircraft, market stalls.. I'll be blogging about that another day, but I just wanted to quickly show you this sweet top I picked up in a vintage shop today. Tucked out of the way of the main streets, there's a perfect jam-packed vintage shop, full of beautiful old things. There are so many treasures in there, I could easily spend hours in there discovering things. 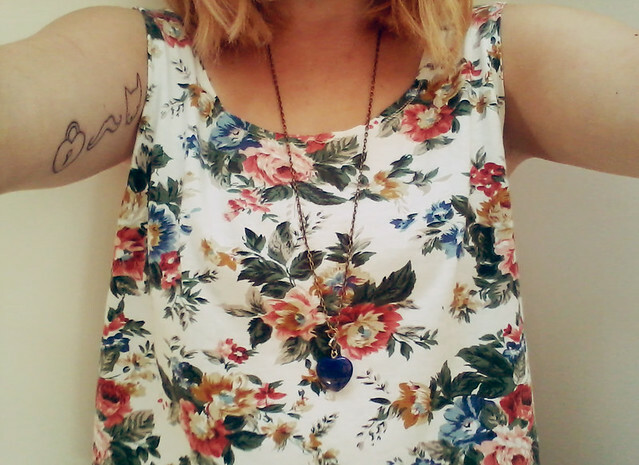 This top was hidden underneath a few things, but the patterns caught my eye straight away. It looked so wearable, and I was right. I haggled the man down to £4, and teamed it here with my AA easy jeans, and lapis lazuli heart pendant that a lovely friend of mine gave to me. That top is lovely, what a great find, and bargain!! perfect top! i need me a pair of AA disco pants. your outfits are always the cutest! What a bargain for £4! It looks lovely on you and your hair looks gorgeous too. I love the top. Adorable! Cute top, I love that you haggled for it! That top is so lovely. The print is just wonderful. The colours of the top are lovely. Gorgeous top - great find! the top is really adorable. 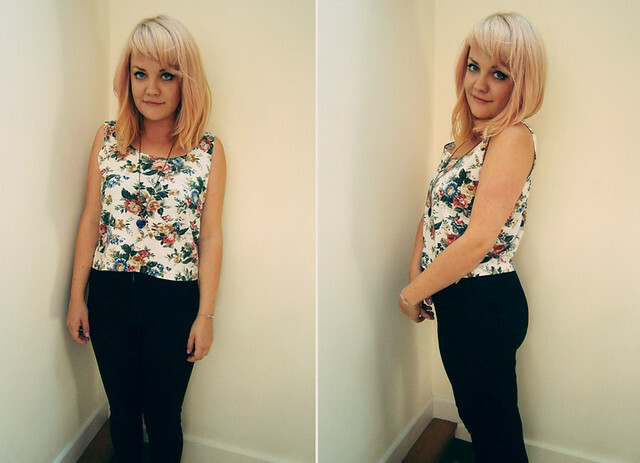 Such a cute top, you look so pretty.